I know that a Friday is fun already, knowing that the weekend is about to start, but it can never hurt to make a Friday even more fun, does it? That’s what Fun Casino must have thought when it introduced Fun Friday! Especially this Friday, with an amazing 70 free spins available for the super popular Starburst™ online slot! Every single NetEnt fan, even those with a little knowledge of the games, will know one of NetEnt’s most favourite video slots! It could be Gonzo’s Quest™, Twin Spin™, or Jack and the Beanstalk™, but there’s one slot missing in this list of popular NetEnt slots. The game that brings you to the stars! The game that stole many player’s hearts since its launch in 2012 while probably one of the simplest modern video slots developed by NetEnt! It’s the simplicity that made the Starburst™ online slot a success, but how is this possible if players are always looking for more! I just don’t know, but maybe it’s the Bejeweled type of game that attracts the players, the energizing combos, or the famous Starburst Wilds! 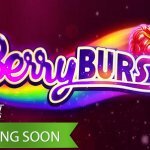 Like NetEnt says: there’s no secret recipe that makes a slot game great and that’s why it’s so hard to find out what it is that makes Starburst™ so popular with players! The volatility could have done the job if higher, but we’re speaking of a low volatility game so that can’t be it and the Return to Player isn’t that great either with 96.1%! 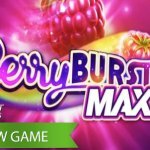 So why are these 70 free spins for the Starburst™ slot not to be missed then? Simply because Starburst™ is magic, and when you get to enjoy magic for free, you would be a bit silly to ignore this offer! Besides, low volatility means that you will be awarded wins more often than this is the case with a high volatility slot. In return, the big wins are lower. However, in the 10 years I’ve been wiring about video slots, I’ve seen many big winners created by the game anyway so winning big playing Starburst™ isn’t impossible! 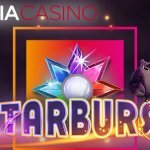 That’s why 70 free spins for the Starburst™ online slot are highly recommended, but also because you’ll be offered a high-paced video slot with blasts of light, flashing texts, electrifying sounds involved with the combo’s. 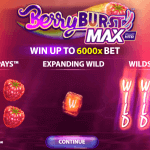 And I didn’t even described the Starburst Wild, but I did in the Starburst™ online slot review! The free spins fun starts at the beginning! First, because a very attractive welcome package is waiting for you which includes 11 no deposit free spins, a 50% welcome bonus up to €499 plus an additional 100 free spins, and a second50% welcome bonus. Besies, the 11 no deposit free spins and 100 additional free spins will be available for Starburst™, Joker Pro™, Wild Wild West™ or Finn & the Swirly Spin™. That will make you forget about your 70 free spins, trust me! The second good reason is that this won’t be the first Fun Friday and not the last either. 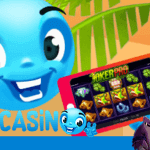 There will be many free spins offers like this one available in the future and by signing up at Fun Casino, you make sure you don’t miss out on any of these super attractive free spins offer. After you’ve made a first deposit at Fun Casino, no matter if you completely used the welcome bonus or not, you get the chance to get to the stars with 70 free spins for the Starburst™ online slot! Be sure you make a deposit of €20 at Fun Casino today, Friday 22nd March to activate your 70 free spins for the Starburst™ online slot. 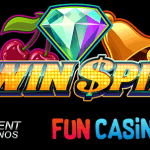 Once activated, you have 70 spins to enjoy for free and that can end up in a great slot adventure! 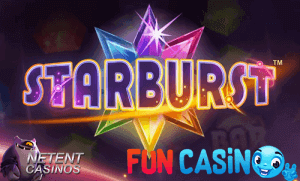 It’s not for nothing that the Starburst™ online slot became the face NetEnt together with other NetEnt classic such as Gonzo’s Quest™, Dead or Alive™, Spiñata Grande™, Piggy Riches™, and Jack Hammer™!